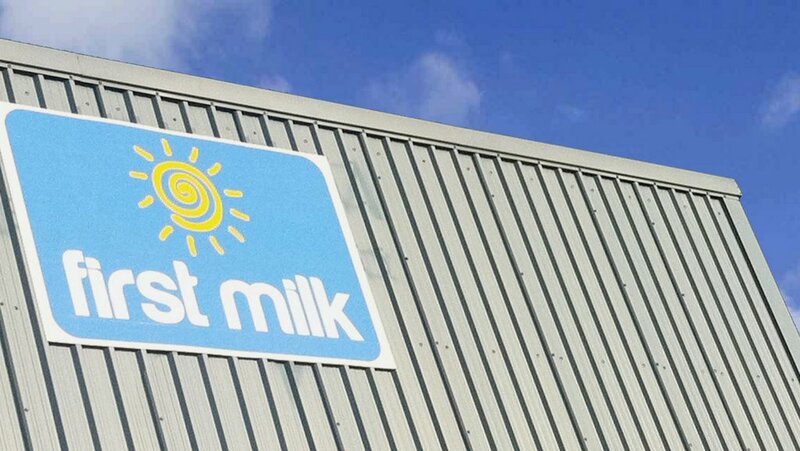 First Milk has announced a 2ppl milk price increase for October for all membership pools, the largest monthly increase for First Milk members since 2007. The increase consists of a market movement increase of 1ppl for all non-aligned pools and an additional Business Performance Supplement of 1ppl. In a letter to members, chairman Clive Sharpe said: "For the fourth month running we are increasing our milk price to members. The increase reflects both the improved market returns and the accelerating improvements in our own business. "Due to the changes made over the last 18 months we are now able to pass market moves directly onto members and this has resulted in a 1ppl increase for October. In addition our improved internal business efficiency has allowed us to deliver a further 1ppl of the Business Performance Supplement that we committed to pay earlier this year. "When we introduced the Business Performance Supplement in June, we committed to deliver an initial 2ppl, in addition to any market movement, over 12 months. "This represents the money that comes from the changes made in First Milk including removal of loss making businesses, improving our commercial and quality performance and cutting our costs. The first 1ppl was delivered in three parts and the second 1ppl will now be paid in October well ahead of our commitment. "Our view of the market outlook is positive as we see prices moving towards 25ppl in coming months. First Milk is well positioned to deliver these improvements directly to our members who can now plan their businesses accordingly." Chief executive Mike Gallacher said: "This increase reflects both the strengthening market and the positive impact of huge changes made at First Milk over the last 18 months. "We promised members that we would deliver an initial 2ppl improvement in addition to any market moves and I am delighted that this is now coming through ahead of our internal plan. In total over the last four months our members have seen prices increase by between 4ppl to 5ppl. "However the Board and Management Team are fully aware that the recent improvements are only now starting to be seen on farm after two years of falling prices. "With a fourth increase in a row, members can have confidence in continuing improvements both from the market and from First Milk’s internal business performance." "Our aim is to get further increases to our members as quickly as possible. Meanwhile our forecasts are pointing to market prices of mid-20s and beyond. Our members can be confident that in the new First Milk as the market rises so will our milk price. In addition, we are working on further projects that can add to our existing 2ppl Business Performance Supplement." "Member meetings are planned around the country in October and members will be informed of meetings in their areas over the coming days. At these meetings we will be focusing on the longer term direction of our cooperative." NFU dairy board chairman Michael Oakes said: "Today we've heard positive milk price announcements by Arla and First Milk for October. They're a move in the right direction but clearly prices are still nowhere near sustainable and have a long way to go to compensate for the tough two years farmers have endured. "We're still hearing that certain milk buyers are accusing others for the lack of movement in their own milk price and this blame-game needs to stop. "Dairy market signals are pointing skywards and we now need to see all milk buyers start paying fair, sustainable milk prices to their suppliers – prices that truly reflect the situation in the market."